Here is a light wine with low alcohol content that both Winos really liked. Easily earns a Good Rating! Comes from the Quady Winery in Madera, CA. Made from the Orange Muscat grape. Has a sweet taste. 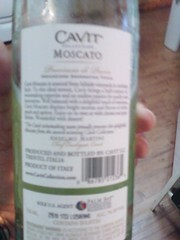 Much sweeter than other Moscato Wines. 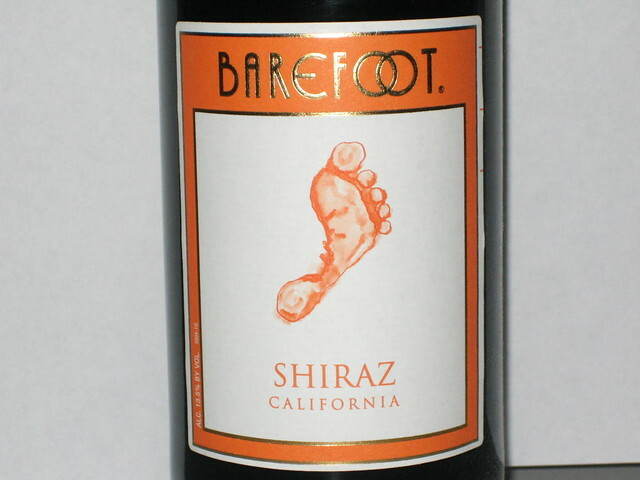 Another offering from the Barefoot Winery. This one is their Sweet Red. It earns a Good Rating without a problem! Santa's Contribution to the Winos. Santa delivered a few bottles to the Winos this morning. Will have to post as we work through these selections. Some are familiar and we have had before. 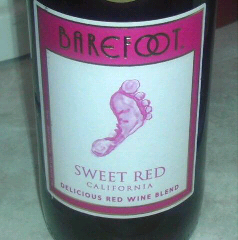 Others look new... Barefoot Sweet Red and Riesling! The Red Wine Wino has a weakness for Chianti. In this case, Davinci's offering imported from overseas hit the spot. Both Winos agree to buy it again. Rating: Good! Update: 4/13/2014: Not sure but this last bottle we purchased has us wavering on this one. Re-rating it as Neutral. Noticed an aftertaste that had the Red Wino confused. 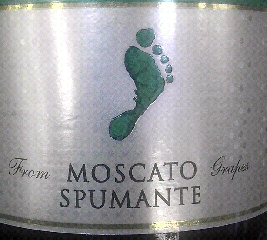 Barefoot Bubbly - Moscato Spumante offered by Barefoot Winery. It is a sparkling wine that we have had before. Both Winos liked it then. Both Winos liked it again! Easily maintains a "Good Rating"! Happy hour last night at a pizzeria we like to frequent. Pizzas cooked in a wood fired, brick oven and basically flash cooked at high temps. Pizza is done in 90 seconds! 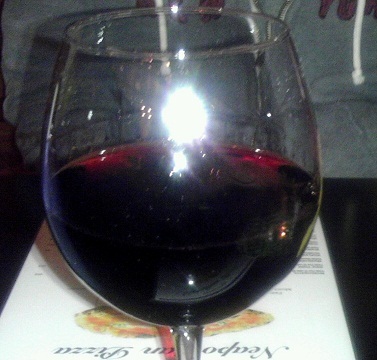 And, what better way to have pizza then a glass of red wine! In this case, the Red Wine Wino opted for the Restaurant's House Red in a Merlot. 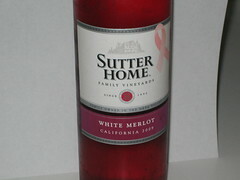 Very good wine,... the Winos are rating this one "Good"! Will purchase this one again in the future! Here is another one from Franzia. It's their Fruity Red Sangria that comes in a 5 liter cardboard box. The two Winos gave this one a "Good Rating". 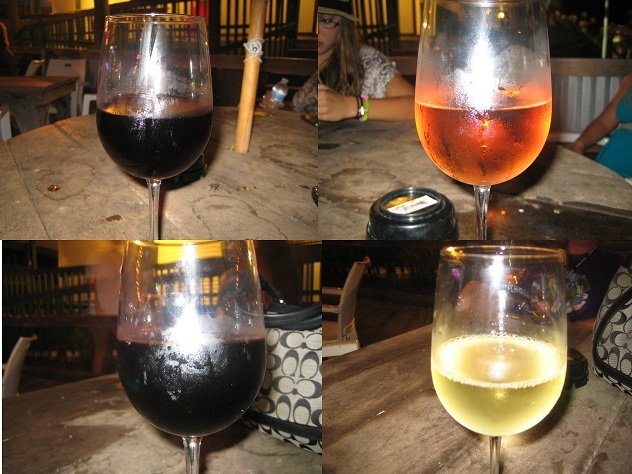 We have no issues with wine that comes in a cardboard box as long as it tastes good. In this case, it tastes good! Keeping this one in mind when the funds are running low (but would also buy it if rolling in dough!). 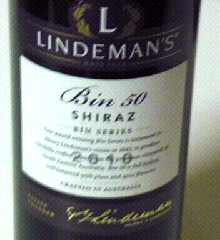 Have not had a Shiraz in a while. Pulled this one off the wine rack at home. Been gathering dust, so better late than never... Crafted in Australia and priced right - less than $5! Both Winos give this one a Good Rating. Was out last night to try our luck at the gaming tables at Choctaw Casino. Was sidetracked by a free concert featuring Lee Rocker , stand-up bass player for the rockabilly band Stray Cats! 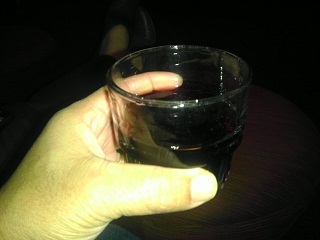 While enjoying the live music, ordered a couple of red wines from the bar. 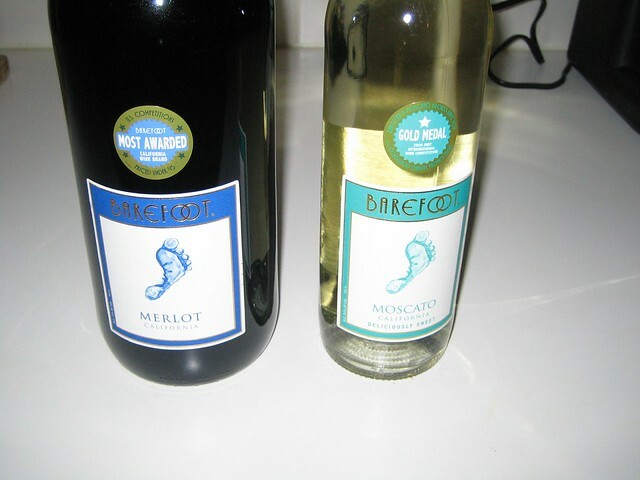 Both wines earned a "Good Rating" with the Cabernet Sauvignon having the slight edge over the Merlot. 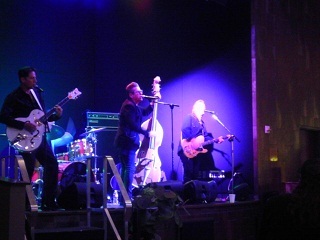 PS: If you like live music and rockabilly sounds, you will like Lee Rocker and his band. Outstanding performance in a small group setting! Lee Rocker and His Band! White Wine Wino opted for a bottle of Moscato. This one remains a favorite and gets another "Good Rating"! Revisiting this one again. 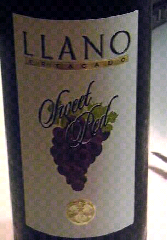 Llano Sweet Red maintains it's Good Rating. The Winos agree again on this one. 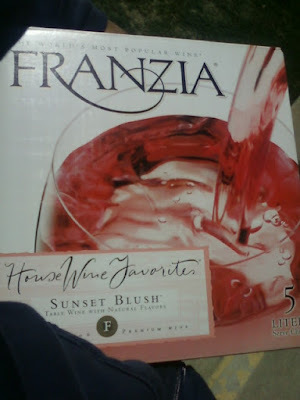 Franzia Winery offers its house wine Sunset Blush. Cannot beat the price, cannot beat the taste,.... 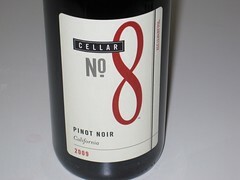 Easily earns a "Good Rating" from both Winos! Will be buying this one again in the future. Here is one that we have not had for a while. Peter Vella Vineyard's - Delicious Blush! 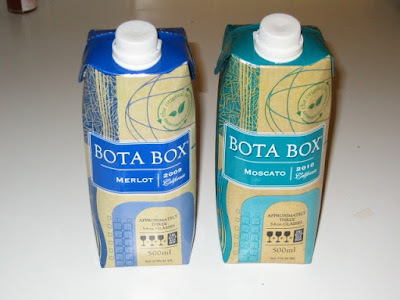 Wine in a cardboard box does not get any better. Can't beat the price, consider it a good starter wine as it has a sweetness to it. Both Winos give it a "Good Rating". Here is one that we picked up recently. Simply Naked Winery of California offers a fruity Cabernet Sauvignon that is "unoaked"! Hence, the "simply nakedness" on the label. Aged in something other than an oak barrel to focus more on the fruity flavor and less on the oak. Red Wine Wino liked it immediately (13.5% alcohol...). White Wine Wino liked it too, does have a dry aftertaste,... yada, yada, yada. Red Wine Wino says, "What can be bad about a wine that has naked on the lablel!" Rating: "Good"! Not Wine... Dog BIte High Gravity Lager and Tropic Chillerz! 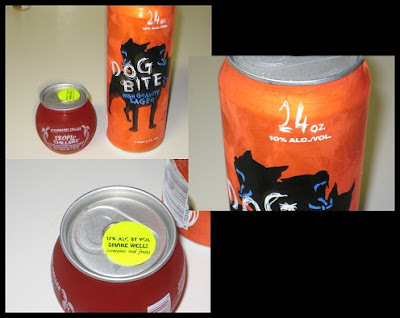 Red Wine Wino broke away from the norm and picked up a 24oz can of Dog Bite High Gravity Lager and a bottle of Tropic Chillerz in strawberry. The Lager has 10% alcohol and the Tropic Chillerz has 17% alcohol... ouch! Wine Wino rated the Lager as "Bad" - no plans to buy this one again. 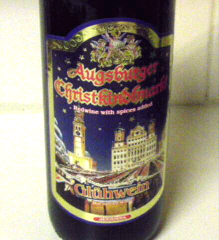 Something about the hint of sweetness in a beer that does not work for the Red Wine Wino. "Other than standard orange wine with strawberry and banana puree, pineapple and lime juices, coconut cream, and other natural flavors added." Picked up a Merlot and Moscato from Bota Box. 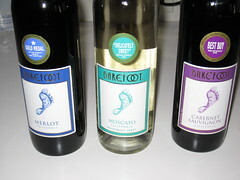 The Merlot and Moscato get a "Good" Rating with one comment from the White Wine Wino on the Moscato - "It was not as sweet as other Moscatos." But, who wants sweet wine anyways? FYI - These were the "mini-Bots" that equate to 3 glasses of wine per bottle. 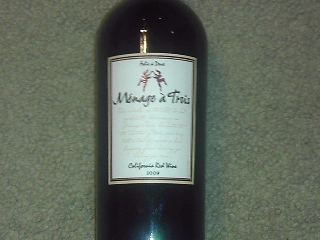 Bought this wine, offered by the Vendange Winery, while on a grocery store run. 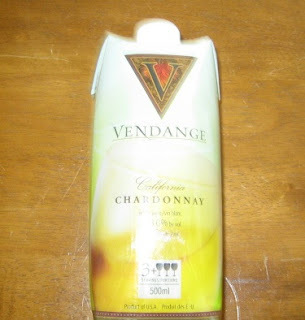 It comes in a cardboard bottle, is a Chardonnay, and is rated at 13% alcohol - not bad for a white wine! 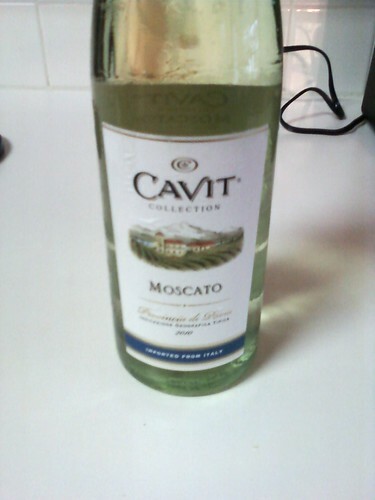 White Wine Wino opted not to buy it again.... Go figure. Red Wine Wino had no problems with purchasing it again, but he is biased due to the strong alcohol content.... Go figure. Rating: "Neutral". 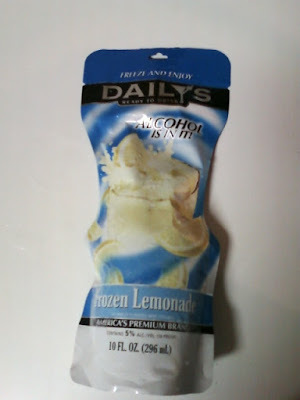 Decided to try Daily's Frozen Lemonade. 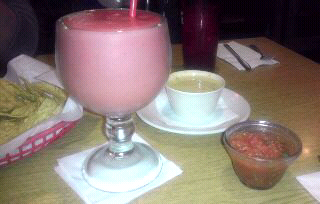 We had tried the Strawberry Daquiri and the Mojito and liked them. Same goes with the Frozen Lemonade. Rating: "Good" but for the heavy weight Winos, suggest adding a shot of Gin or Vodka to fortify it! 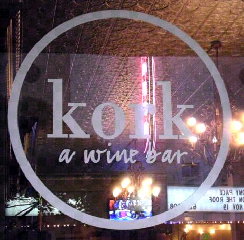 Had dinner at a local pizzeria and wine bar. Offers wood fired, brick oven pizzas using ingredients imported from Italy! It's authentic Italian pizza. 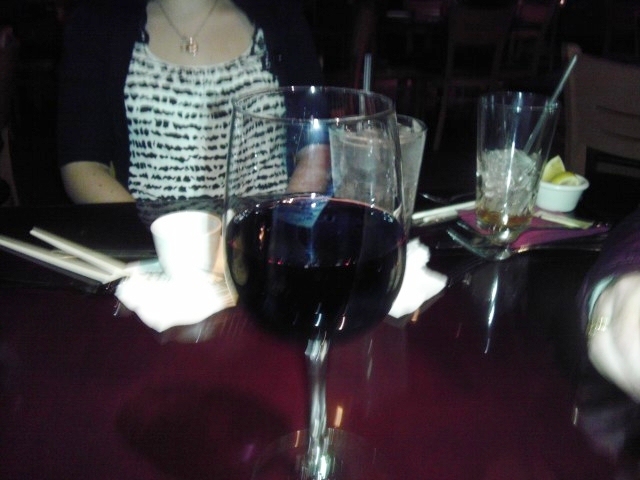 Ordered a glass (actually two) of their red wine - Costello Bonfino. This one earns a good rating! 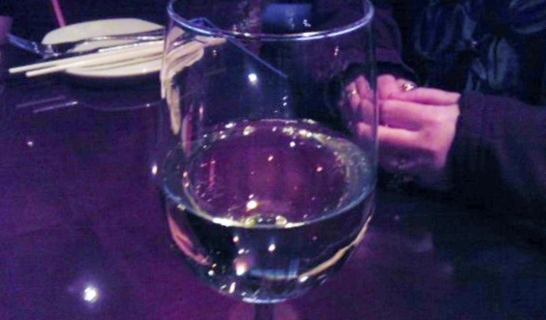 White Wine Wino decided to have some Sake. Went with an offering from Nigori called the Snow Beauty. Red Wine Wino deferred rating it to the White Wine Wino. Bottom-line: It gets a "Good Rating"! Here is a Shiraz made in California by the Ravens Wood Winery. 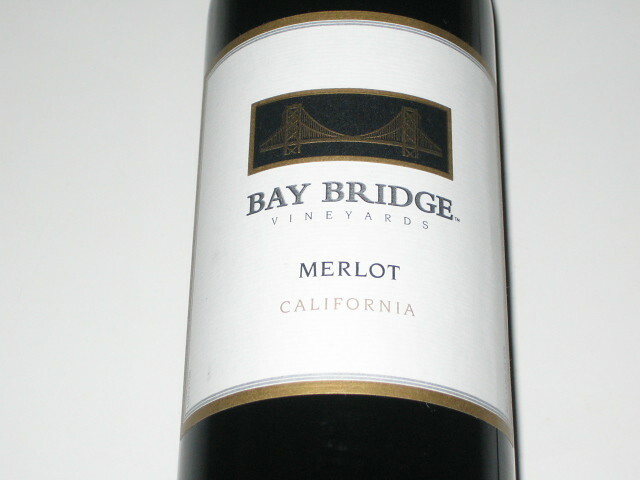 Bottled in 2008, this offering made for a pleasant surprise for the Red Wine Wino. Liked the wine, liked the 13.5% alcohol content, liked the White Wine Wino's agreement to buy this one again! Rating: "Good"! Here is a Winery in Virginia that is on our list of places to go next time we are in Virginia. Rappahannock Cellars offering red and white wines in the heart of the Blue Ridge Mountains! 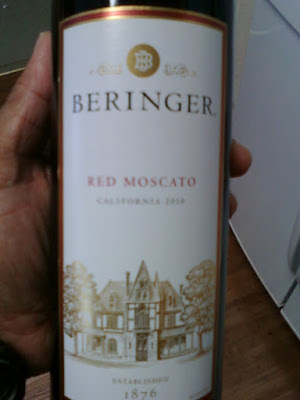 Here is a new one that we found and tried... it's a Moscato from Beringer. 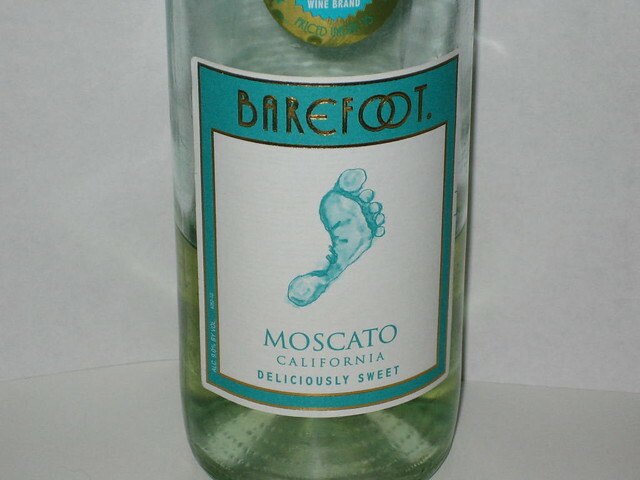 We have tried Moscatos before but this one is a Red Moscato! We tried it, we liked it, and would buy it again... so, it gets a "Good' rating. 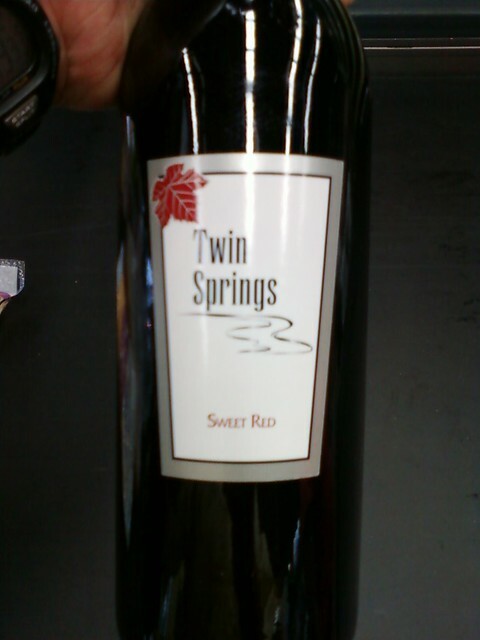 Has a sweet taste that reminds us of Llano's Sweet Red! Sangria Anyone? The Wino's Wine Guide Recipe for Sangria. With temperatures in the 100+ Degrees, decided to make a batch of Sangria to help cool things down! Below is our recipe for Sangria. We make it on the light side to allow for "teetotalers" to enjoy but adding a shot or two of our favorite Rum or Brandy gives it the strength that "heavyweight" Winos like us require. Mix up a batch, adjust as you wish, and do let us know how it turned out! 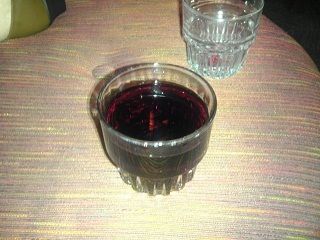 1 Bottle of Red Wine (750 ml bottle of Merlot, Shiraz, or Tempranillo works well). Mix all ingredients in a suitable pitcher, and then chill overnight. Add additional shots of your favorite Brandy or Rum to your glass to "fortify" as desired. Picked up another offering from the Lucky Duck wines.... This one is from Spain - a Tempranillo! Red Wine Wino liked it and would buy again. 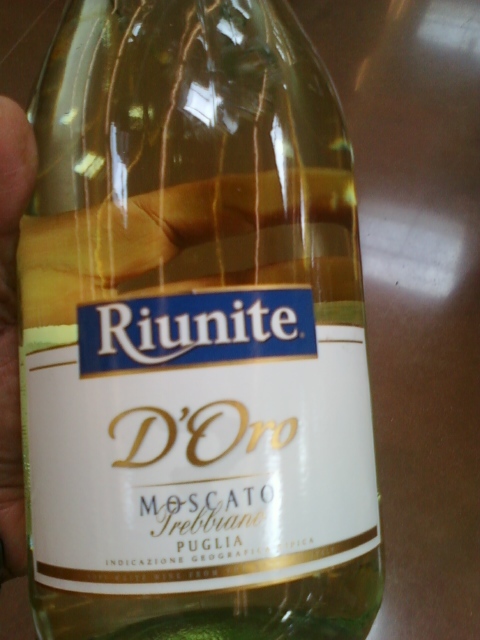 White Wine Wino was on the fence; could not say yes or no about a future purchase. Since both Winos could not agree, this red wine gets a Neutral rating. Barefoot Winery comes through again. This time in a Riesling! Was questioning the "screw top" bottle and no cork to add to my collection. 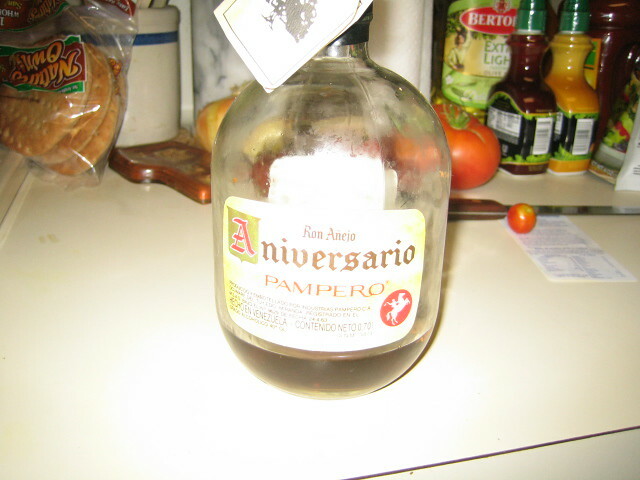 But, one taste and both Wino's agreed to buy this one again. Rating: Good. 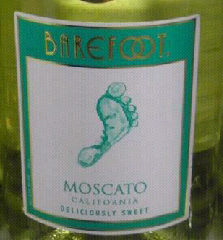 Reminds us of a Moscato but sweeter! 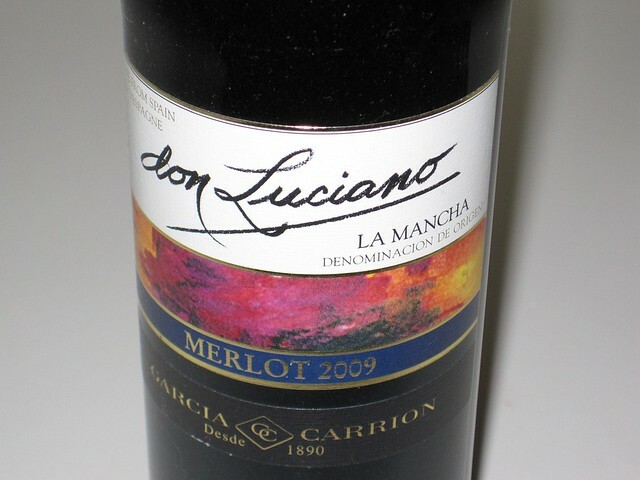 A wine with character expressing the Mediterranean Merlot variety. An elegant purple-blank color with violet tones. A well defined fruity aroma to the nose, blackberry and raspberry. Enjoyable on its own or with meats, salads, and pasta. Both Winos agreed it is a very dry Merlot. White Wino questions enjoying the wine on its own; would probably go better with Dinner. Red Wine Wino cannot make up his mind about buying this one again. The dryness really puts a damper on a future purchase. Rating this one as a Neutral based on the indecision of a future purchase.